In this Six Pillars show we tap into the fine array of people at Share Conference, Belgrade for a short journey of discovery. 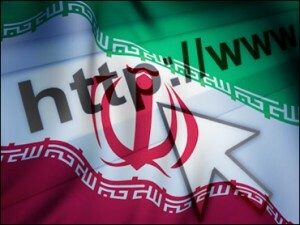 We discuss Iran’s move towards a closed, national intranet which they can then fully censor, with a leader in the global free-internet culture movement: Elizabeth Stark. Elizabeth presented a talk at Share and has previously worked with the Harvard Advocates for Human Rights to make better use of new media to promote human rights. Stark spent years researching for the Berkman Center for Internet & Society at Harvard, and has taught courses ranging from Cyberlaw to Intellectual Property to Technology & Politics to Electronic Music. We also discuss art, Lebanon and the fascinating story of the Lebanese community in Australia with Kamal Ackerie, himself a Lebanese Australian. At the time of interview Ackerie was Associate Director of the prolific arts and music production agency Forma Arts, UK. This entry was posted in Six Pillars to Persia and tagged belgrade, confrence, cyberlaw, elizabeth stark, forma arts, freedom, internet, interview, Kamal Ackerie, podcast, radio, share, Six Pillars to Persia, uk on September 6, 2012 by sixpillarstopersia. On a visit to the UK, the founder of the largest website for Iranians in the world, Iranian.com visits the studio. Jahanshah Javid devotes his life to the website, known for its user generated content, and the catch-phrase ‘nothing is sacred’. Here the interview moves into other topics with interviewer Fari Bradley playing devil’s advocate on certain issues to scuffle up a debate. After all, that’s what comment led content is about these days…. This entry was posted in highlights, Promos, Shows, Six Pillars to Persia and tagged internet, Iranian, Iranian.com, jahanshah javid, journalism, website on March 4, 2011 by sixpillarstopersia.